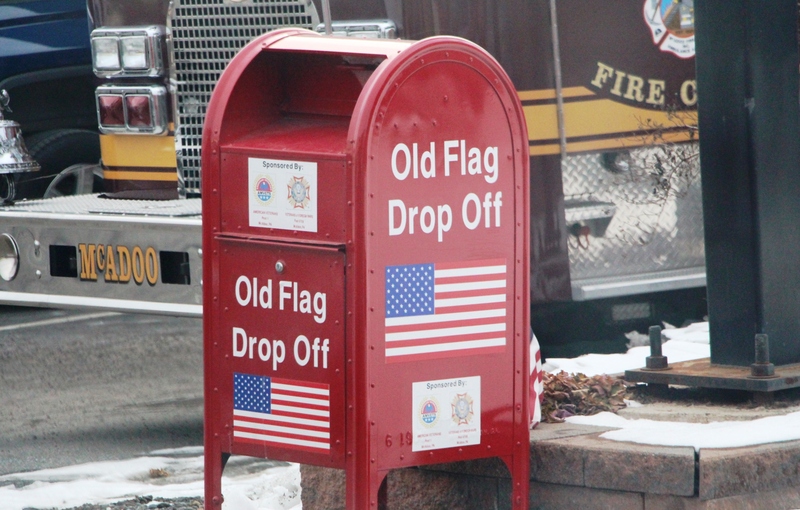 There are two drop-off containers in our area to place worn, frayed or damaged flags. One is in front of the Tamaqua American Legion. The other is near the front of the McAdoo Fire Company.